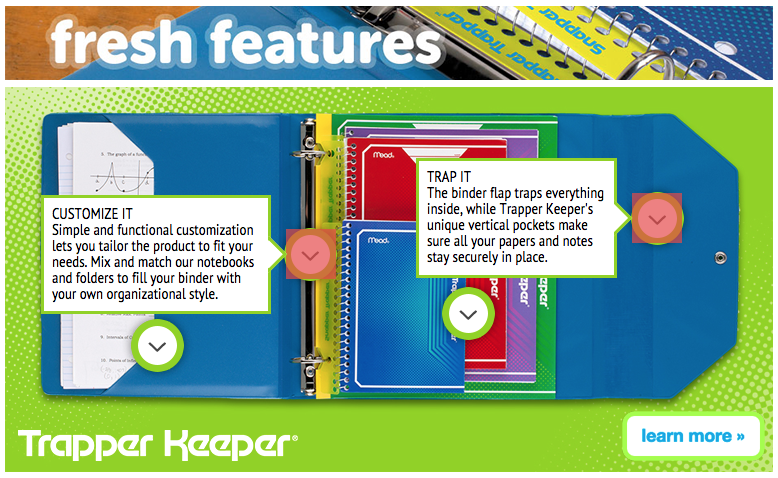 Our latest release includes a brand-new HTML5 Tooltip Ad Component. Tooltips are text labels that appear on hover or click. Tooltips allow you to provide the user with additional information about the element being hovered over or clicked on. The Tooltip Component can be added to any ad format or size. Place the tooltip hit box over the element that will trigger the tooltip and enter your text. You can resize the text box, choose from top, bottom, right or left placement and set to open on hover or click. 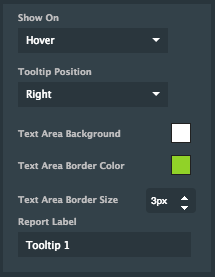 You're also able to edit font styles, set border and fill colors and add a custom label for reporting. To build your own, or learn more about HTML5 Tooltips, get in touch!